Unlock the pump, squeeze the foundation out directly into the well, then dip your Beautyblender into it (no more applying foundation from the back of your hand!) Add liquid bronzer, highlighter or primer as desired. Two pumps for medium coverage, three for full. 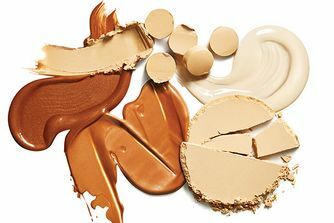 Not only is the shade range absolutely atrocious, the foundation itself is complete and utter garbage. This foundation leaves my skin feeling heavy and looking cakey. It also blocked my pores and made my skin SO, SO DRY. My skin has NEVER reacted to a foundation like this. Overall I'm very disappointed with Beautyblender. If you are going to come out with a product, make sure anyone with any skin tone can use it. Love this foundation! Super smooth finish and flawless look. No waste and so easy to apply. My favourite foundation so far. This foundation is great! Full coverage it doesn’t oxidised and it’s long lasting. The only down side is the bottle as I have to clean it after every use otherwise looks very dirty. Definitely will repurchase!!! I really love this foundation and now that I’ve found the perfect primer and powder I love it even more as it lasts all day! However I really hate the packaging! At first I thought it was fine but as I’ve been using it for a while and I’ve found it’s really difficult trying to keep the nozzle clean, it gets clogged up with foundation and it either doesn’t come out at all or it comes out in little spurts and gets all over my clothes and carpet! I absolutely LOVE this foundation. I managed to successfully pick my colour online (use shades in different brands to help navigate picking the best shade). It's light-medium coverage which can be built up, and feels light on the skin. I personally don't like full coverage and this product is perfect for a more natural look that lasts all day. The container itself doesn't clean as easily as it looks, so I wipe it down after every use to keep it tidy. I was worried to try this as I do have oily skin but get a lot of dry patches where I’ve had breakouts, however it is lovely! It’s full coverage I would say however I did need 2 layers. It was VERY smoothing especially after powdering and looked really matte and smooth for about 5 hours then it started getting shiny in my t zone which I didn’t expect. It would be 5 stars if it didn’t get so shiny But it’s still a great foundation. I bought this after seeing mixed reviews - I have oily skin and most foundations don’t last all day. This one is medium to full and can build up the coverage and doesn’t oxidize. It looks lovely on my skin all day not patchy it’s my new favourite I’m so impressed! Not too sure about the colour guide as I have light skin and usually go for neutral so went for 2.20 which was perfect even though it says medium olive. I was so looking forward to getting this and when it was delivered I couldn't wait to put it on. I'm not a make up artist but have tried loads of foundations and thought I would give this a try. I was so disappointed and I don't really like it, although I'm still trying to work with it so this might change. I have tried loads of things to get this to sit on my face well. Primer, no primer, moisturized my face and not moisturized it, added different oils/creams to it, wet my beauty blender etc. And it still doesn't really sit nice. I have to put a lot on to get a full coverage look, maybe 3+ squirts and I don't really have that bad skin. I think it sits ok around my cheeks but elsewhere it just sits really bad. I tried putting a bit less on and it still didn't look that great. I thought I would get a flawless look and I wasn't getting that. Also heard it's meant to last 24 hrs on the face. After just after a day at university I looked in the mirror and could see it was starting to slide off and it started to look a bit patchy. I really wanted to like this and I'm still trying to give it a chance . I love the design of the bottle as well and thought it would be a great foundation, it just hasn't worked well on my face. I'd been waiting to try this foundation to see if it really lived up to the hype and I have to say, I'm in love. This foundation is long lasting, buildable and makes my face look flawless all day. It doesn't feel cakey and I've had so many compliments its now become my everyday essential. I don't use the built in palette however, I pump directly onto my beautyblender, as I found it would leave remnants around the nozzle. I adore this foundation it looks and feels beautiful on my skin, I’ve always had trouble finding the perfect match and I was really nervous about buying as the shade range is rather questionable but it matches perfectly. Will definitely be repurchasing. So I'm not a foundation person. I have never found a foundation that feels lightweight and have always gone for BB creams. I really wanted to give the Bounce foundation a go because of how much I love the beauty blender. Was not disappointed! It has a great texture and is super buildable. A tend to sheer it out with a bit of facial oil to give more of a natural finish or sheer. Covers any blemishes really easily with out it feeling cakey of heavy on the skin. I found that there were only 2 issues with this foundation: The product comes out onto the packaging which I find a bit weird. And there are So many shades and undertones that it makes it a bit tricky to find the perfect match. I tried this rather reluctantly as I have developed a random fear of foundation in recent months, believing that nothing actually looks good on my skin. That being said, I am so glad I tried Bounce - it blurs my skin without feeling heavy or looking cake-y, and I receive compliments every time I wear it! I'm not very good with anything that I can feel sitting on my skin, so this is great for me. 10/10 would recommend. For reference, I use shade 1.40 (will probably go down to 1.10 in the winter) and I am normally the lightest neutral shade in most foundations. This foundation is the best for full coverage but not cakey or dry! I was expecting a little bombshell, uh..no.. Yes it is covering and if you put little it's not cakey, but overall it's nothing spectacular, I'm a little disappointed ..
Looks super nice when you first apply it but within a couple of hours it begins to crack and really sit on top of your skin, it really highlighted my pores around my nose and cheeks. I've tried it with different primers but nothing seems to make it sit better on my skin. I really love this foundation and feel as if it doesn't get enough hype. 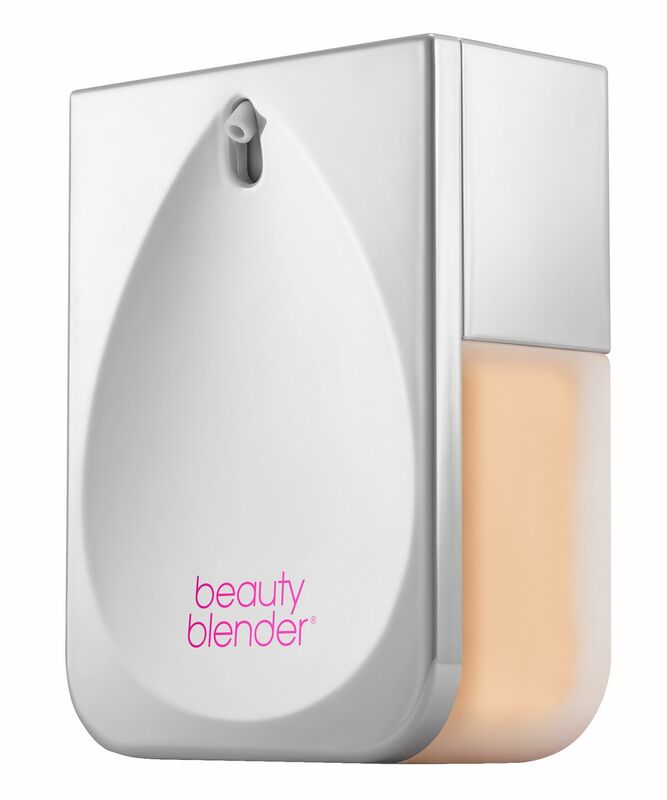 The packaging design is genius as your Beauty Blender picks up product from the indented plate which is easy to clean. It makes my skin look like skin which is what I look for in a foundation - I don't want to look like a doll. I use 1.10 but I can make 1.20 or 1.50 work if I use some lightening drops but I'm really happy they've added even more shades. I’m 48, oily t zone, normal everywhere else, texture (pores mainly) lines and wrinkles under eyes. Lots of redness too! (Killing it in the skin dept NOT!) I’ve wanted to try this since launch but picking a shade really daunted me. A lot of the swatches look very pink or very yellow. I researched online and decided on 1.40 ( my shades in other foundations are ELDW desert beige, YSL all hours B20, even better foundation alabaster, Dior 010) the shade is perfect! It doesn’t oxidise and stays true. I’ve applied with both Beauty Blender and brush and it applies well with both but better with BB. It dries down to a flattering demi matte, so still has a little illumination. By midday I had minimum shine on my t zone. I like that it doesn’t enhance the texture and as it warms up and mixes with your skins natural oils it looks less like you are wearing a good coverage product. By tea time I have to re powder t zone but I’m ok with that. Really recommend this if you crack the shade you won’t be disappointed! I absolutely love this foundation. It’s amazing. It blends so well and I found a really good colour match. It lasts all day. It’s full coverage but not drying and has a natural finish not too Matte but not too dewy. I highly recommend. I love the actual product itself. I mix it with a cream, however, the packaging really lets it down. The idea is great because you have somewhere to mix but all the foundation gets stuck in the pump section which makes it look really unclean! But if you don’t mind that then it's a great product! I'm really disappointed for me was a waist of money. It looks beautiful first 10 min after applying then it's starting to crack my pores looks like volcano craters...nightmare . If you got oily skin avoid. I had such high hopes for this because the beauty blender is revolutionary and this live is created by a well known, talented MUA. I bought it immeaditly. The finish when you put it on is beautiful but as it dries down it looks SO CAKEY. I don’t need coverage because I have flawless skin thanks to intense skincare regimes so I barely use any and it looks so cakey and visible on the skin.. it sits in lines badly and it just doesn’t look good. It looks like you’ve worn it all day and sweat or something. I have normal skin. I tried both with the beauty blender and a brush.. brushes don’t like this one. My beauty blender just couldn’t melt it into the skin. It’s thick like a paste and sits on the skin all day long. It looks horrible and is going back tomorrow first thing. I am shocked by how bad it is and it’s a shame because the match was great for me. For reference I’m the lightest shade here 1.10 and I’m alabaster in hourglass, R230 or 220 in mufe, or 15 in matte velvet, the fairest pink toned shade in every launch. This matched true to tone but it just sadly looks horrible as soon as it dries down. I tried using more, using less. Powdering. Not powdering.. nothing helps. Setting spray, fix plus, tatcha Dewey skin, nothing helps. It just looks bad as soon as it dries down like the formula isn’t meant to do it and they forced it to. It would look amazing if they hadn’t tried to make it have a matte finish. I tried this on oily skin on my sister and it was even worse and separated instantly. I don’t think anyone can fix or use this. I looked 40. I am a professional, schooled and trained MUA, worked at Sephora for 6 years and know makeup. I don’t understand why they choose to put this finish out. I can’t think of any skin it’ll suit. Sad pass. Looks very heavy and cakey no matter what you do. Look 40 when you are 20. Separates on all skin and enlarged pores. I've been using this foundation for a month and can honestly say I LOVE it. I would definitely re-purchase this product. It's so easy to apply and I love the packaging - so innovative with the beauty blender well. The coverage is perfect and not too heavy but buildable if you like the full coverage look. I'm a foundation hoarder so it takes a lot for a foundation to impress me, however this time I was blown away ! The texture gives a really flawless finish, yet it still looks like skin. I have acne prone skin and it didn't break me out (even after a good 12 hours wear), so I've been using it ever since I first tried it ! The good thing as well is that you don't really need a primer to extend the wear of it as it is designed to last on the skin, but that doesn't take away the fact that it looks good on top of a lot of different types of primers. And ... the built in palette is so handy as I like to mix oils and highlights with foundation. I've been using the foundation for the last week and I'm really enjoying it! It has a medium, buildable coverage, a demi-matte finish and is pretty long-wearing as well. The only issue I have with this foundation are the shades. I think Beautyblender have missed out quite a few, especially in the medium-dark to a dark range, and I find that sometimes the closest shade to you can either lean very cool (pink) or quite warm (yellow/orange) so it can be a bit difficult to find a perfect match. I wear 3.75 with a touch of 4.1 to make it a little less yellow and a tinge darker. (I also add a balancing oil to sheer it out slightly and provide moisturisation throughout the day) for reference, I'm an NC40-42 in MAC, HUDA Beauty 400 Macchiatto-410 Brown Sugar.